Making cookies at Christmas time is one of our family’s long-held traditions. It’s so much fun to get the kids in the kitchen to cut out shapes from cookie dough, then decorate them with colored frostings and sprinkles. Unfortunately, getting all that dough prepared, baking the cookies, then cleaning it all up afterwards takes a good deal of time…time that we don’t always have during a busy holiday season when a million other things have to get done. 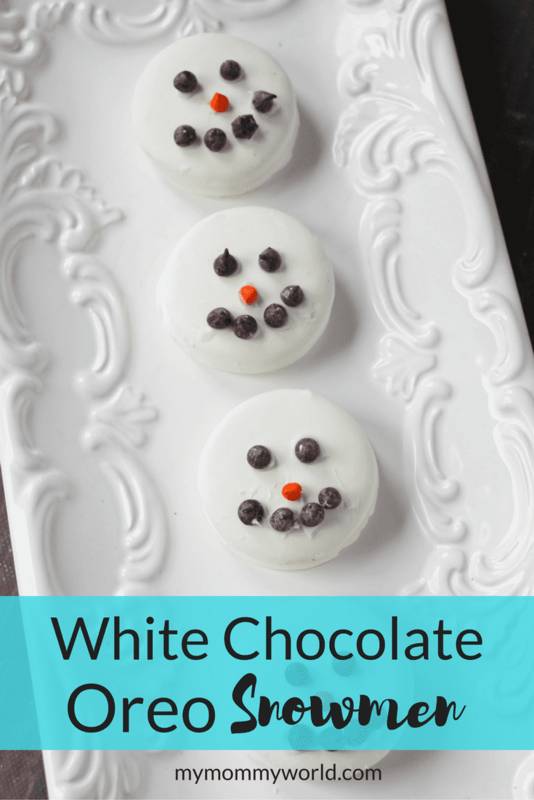 That’s why I was so delighted to try out these easy White Chocolate OREO Snowmen cookies this year. 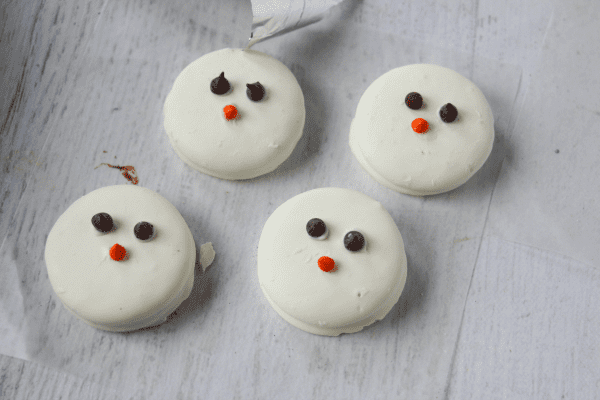 These cookies are so adorable that nobody will mind that they aren’t home baked! And with the generous coating of white chocolate, they are much more decadent than your regular, run-of-the-mill Christmas cookie. 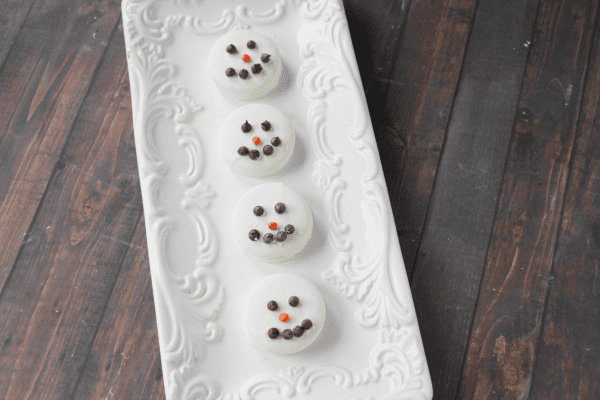 To make your own white chocolate OREO snowmen at home, gather together the following ingredients: one dozen OREO cookies, 1 cup white chocolate (or you could use candy melts), 1/4 cup mini chocolate chips, and 12 orange chocolate-covered candies. Place your chocolate or candy melts in a microwave-safe bowl and heat for 25 seconds in the microwave. Stir well and heat again, if necessary. Watch to make sure that you don’t overheat the chocolate because it could scorch. Dip one OREO into the chocolate, flipping it with a fork to cover both sides. 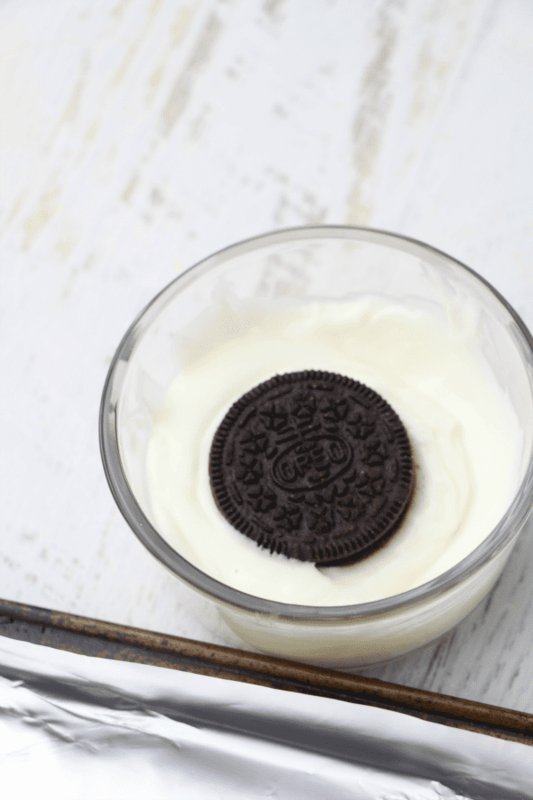 When your OREO is completely completely covered with the chocolate, lift it out with the fork, allowing any extra chocolate to drip back into the bowl. Place the covered cookie onto a piece of parchment paper. Repeat the same process with the rest of your OREOs. 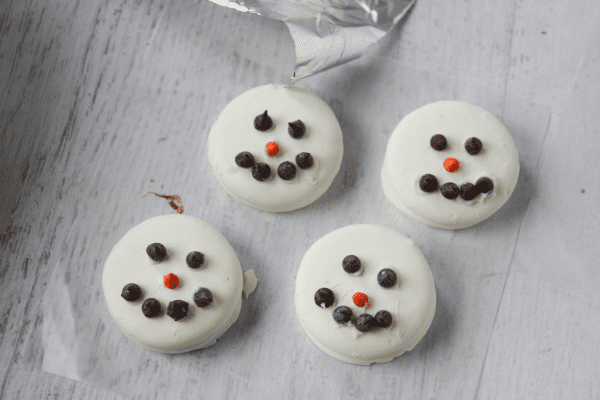 While the chocolate coating is still wet, quickly place your mini chocolate chip eyes on each cookie, followed by the orange candy noses, and the chocolate chip mouths. Allow the cookies to set for at least 30 minutes to let the chocolate harden…then feel free to package them up as gifts or simply put them in a zipper bag to keep fresh at home. 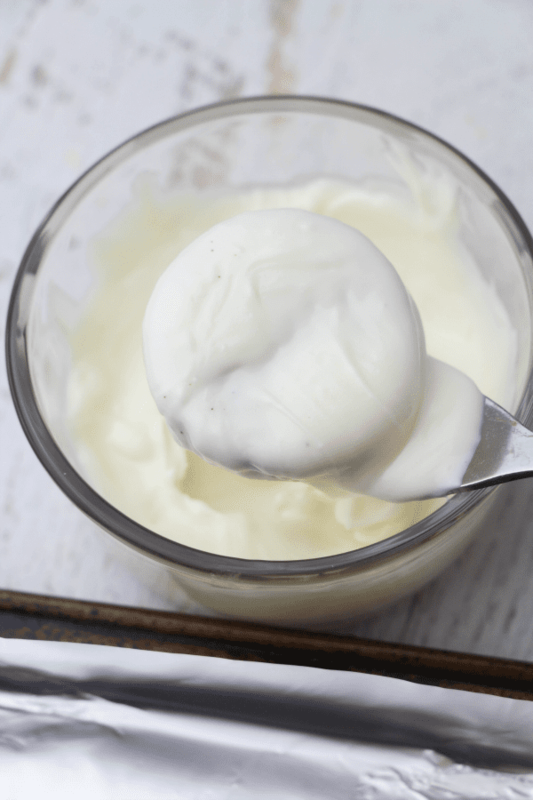 Let set for 30 minutes before serving or packaging. Enjoy!